Home Unlabelled Lion Sleeps Tonight - Chord Progression Tutorial! Lion Sleeps Tonight - Chord Progression Tutorial! Welcome to Ukulele School! The place where you can learn how to hold your ukulele, play chords, and strum! 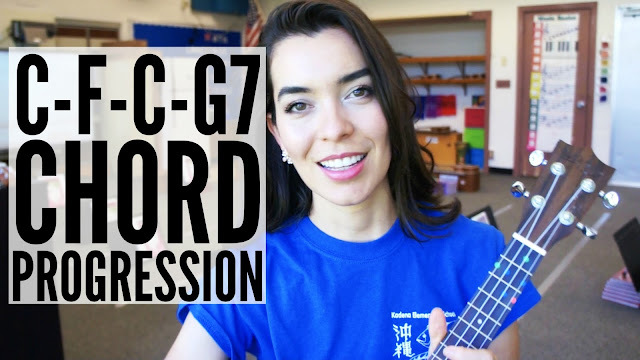 In this video we will be learning how to play the C-F-C-G7 Chord Progression. This chord progression can be used to play The Lion King's Lion Sleeps Tonight song! We will learn which fingers to use on each chord and we will also learn how to transition from chord to chord. In order to play this chord progression correctly, we have to start by playing C chord with the ring finger. Playing C chord with the ring finger will leave our middle and index fingers free and ready to play F chord. F chord should be played with the index and middle fingers. When moving back to C chord, you should make sure that your ring finger is right on top of the C chord position. G7 chord is played with 3 fingers; the index, middle, and ring fingers. After playing G7 you slide to C.
Repeat this chord progression for the whole song! Would you like to download the chord charts that I made? They tell you which fingers to use on which string! 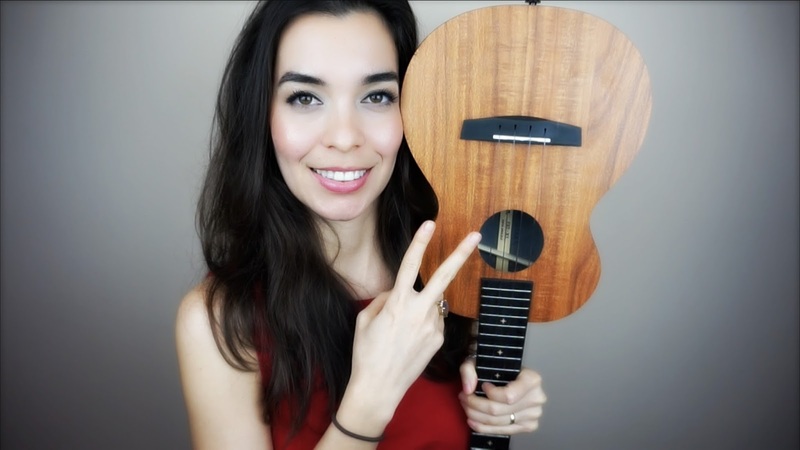 Looking to buy an ukulele? Here are the ones I have tried and recommend! This is Leah Riggs, emailing from anna and I's joint email. Anyway, this is a great resource Bernadette, thank you so much for sharing! I have used you teaching chords this week, and it's amazing how much it frees me up to get around and help kids who need some finger placing or strumming help. Thank you so much! I constantly like to read a top quality content having accurate info pertaining to the subject and the exact same thing I found in this article. Nice job.